For most people nowadays, perm and dye are being got used to. 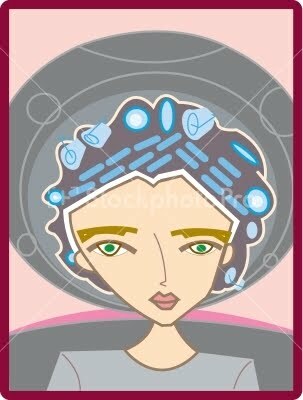 But most people don’t know how to take care of the hair after perm. For example, how many days after can we shampoo after perm? What to be paid attention after perm? Whether you just changed the hairstyle, or ready to go out, its worth have a look below. How many days after to shampoo after perm? It depends on the hair quality. People with hard hair are relatively easy to style a good shape, so you can basically wash hair after 40 hours. But for some softer hair people, styling is more difficult. They should wait for two to three days to shampoo, use perm shampoo conditioner if you need hair conditioner. Tip 1: You need to use some repair nourishing shampoo, which can also be used specifically for curly hair. It can promote the absorption of nutrients. Tip 2: When shampooing you can use large toothed comb to comb your hair, and then go with some hair conditioner repair, cover it with a hot towel would be better. Tip 3: When using the hair dryer, you should pay attention to the direction of the hair root blowing towards the tail; otherwise the cortex layer of tissue scales would be blown up. It makes the hair suffer damage that could have been avoided. In addition, hair dryer should follow the direction of comb movement, which can produce shiny hair and looked shaped. Tip 4：Whenever putting on styling products on hair, pull the hair tail up and gently rub, don’t do from the hair root, which would make the hair straight and destroy the curl. It is usually better result when the hair is 70-80% wet. Tip 5：When taking care of perm style, please use trustfully dry shampoo to keep the style stable at the beginning.